A series of setbacks, including a strayed boat, gusts of wind and other technical issues, have ruined NASA’s plans of launching its much anticipated Orion capsule into space today. Just before the launch window closed, officials announced that the launch would be scrubbed until a later time. The next attempt might be on Friday, 7:05am ET. The launch of the Orion capsule is NASA‘s boldest attempt at space flight in decades. It’s ultimate purpose is to land a manned crew on Mars, but this first outing, unmanned, is destined reach a distance of only 3,600 miles from Earth. The primary goal of the mission is to test the space craft’s shields and instruments to radiation exposure from the van Allen belt. Even so, it would be the farthest a space craft designed to carry humans has traveled since the Apollo 17 mission to the moon in 1972. The craft will circle the Earth twice, then violently crash into the atmosphere at a speed close to 30,000km/h (20,000mph). At this velocity, the friction is enormous and so is the heat. 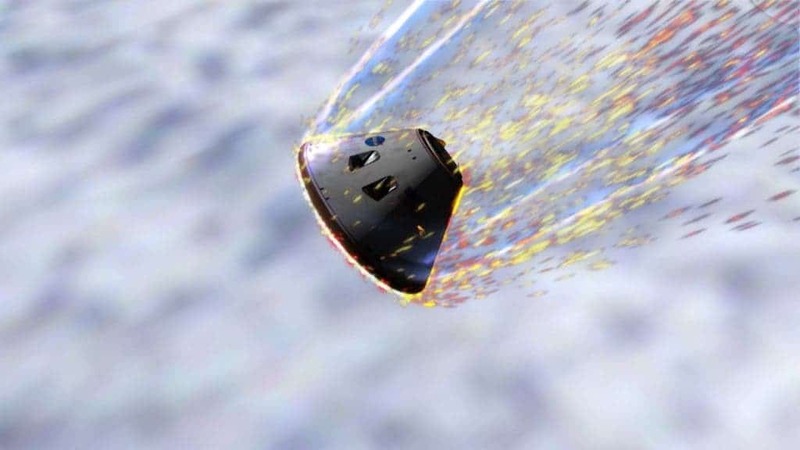 No worries, it will prove to be an excellent opportunity to test Orion’s thermal protection—the largest shield system in the history of space flight. 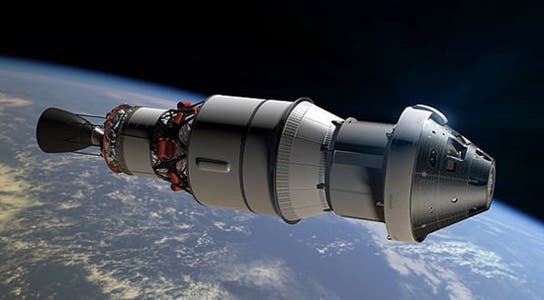 Orion’s speed will generate reentry temperatures of 4,000 degrees Fahrenheit (2,200 Celsius) —much higher than vessels descending from low-earth orbit, such as Russia’s Soyuz capsules or the retired space shuttle fleet. For comparison, the Apollo mission faced reentry temperatures of 5,000 degrees Fahrenheit (2750 Celsius) and an eventual Mars mission would test for 6,000 Fahrenheit (3,300 Celsius). After a flight of four hours and 24 minutes, Orion will drop into the Pacific Ocean about 600 miles from San Diego, slowed to about 17 miles per hour by large parachutes. The USS Anchorage will collect the capsule. “We’re going to be flying through parts of the Van Allen radiation belts, since we’re 15 times higher than the space station,” explained Mark Geyer, Nasa’s Orion programme manager. The first flight will also test a launch-abort system that automatically ejects an escape pod anytime between launch and 300,000 feet. The system can respond in milliseconds if an emergency is detected. This sort of safety mechanism, that is deployed by computers with no human intervention, might someday avert a disaster like the Challenger explosion in 1986. To launch the capsule in high orbit, a Delta IV-Heavy rocket – currently the most powerful operational rocket in the world – will act as the cart mule. 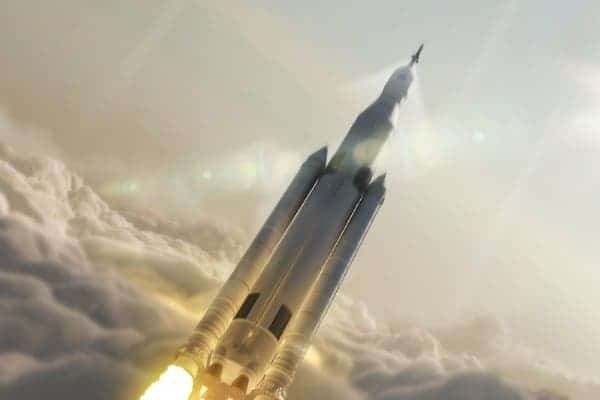 For the next round of tests slated in 2018, Orion will be ferried by a heavy-lift behemoth called the Space Launch System (SLS) rocket (a detailed view of the SLS here). Ultimately, the SLS will carry the Orion, packed with a four-person crew, to Mars. This wouldn’t happen until 2035, at the earliest, and in between various other shorter distance flight tests will be made. One of these is slated to see the Orion rendezvous with an asteroid, touch down, collect samples and return them back to Earth. The asteroid mission is planned for mid-2020’s. Orion is more than just a science mission. It’s underlying goal is to inspire the public, much in the same way as the Apollo missions convinced millions to turn their attention to match and science. Once the first man lands on Mars, it should spark a cultural effect similar to that of Armstrong’s iconic first steps on the moon. Boitnott issued this statement a couple of days ago, though. The launch slated for today has been canceled and another attempt might be made during the next window, which starts tomorrow at approximately 7 am ET. ZME Science will keep you posted with future updates. Update: We have blast off! We had a 24 hour delay, but on Friday, no technical issues or weather snags got in the way of an on-time 7:05 a.m. ET launch, even though the clouds were thick over Florida’s Space Coast. NASA is well on track for sending people to Mars in less than 2 decades.